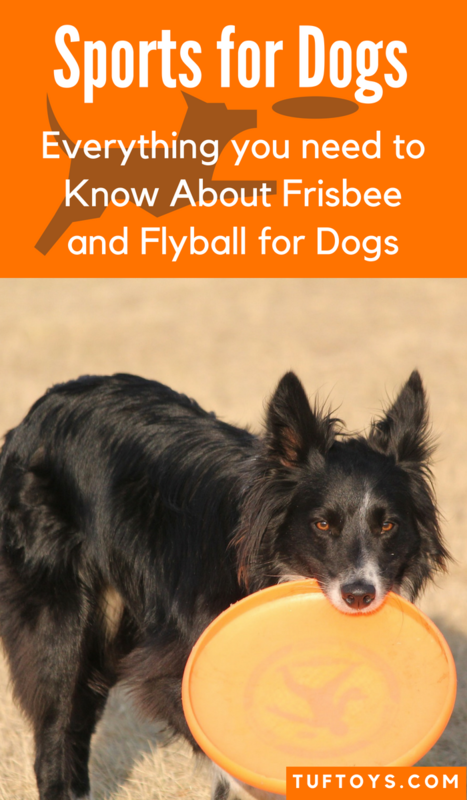 Frisbee and Flyball are two of the most popular sports for dogs, both for fun at home and training for competitions. This article gives you all you need to know about both sports. Frisbee is a competitive sport, but the main purpose is just to have fun. 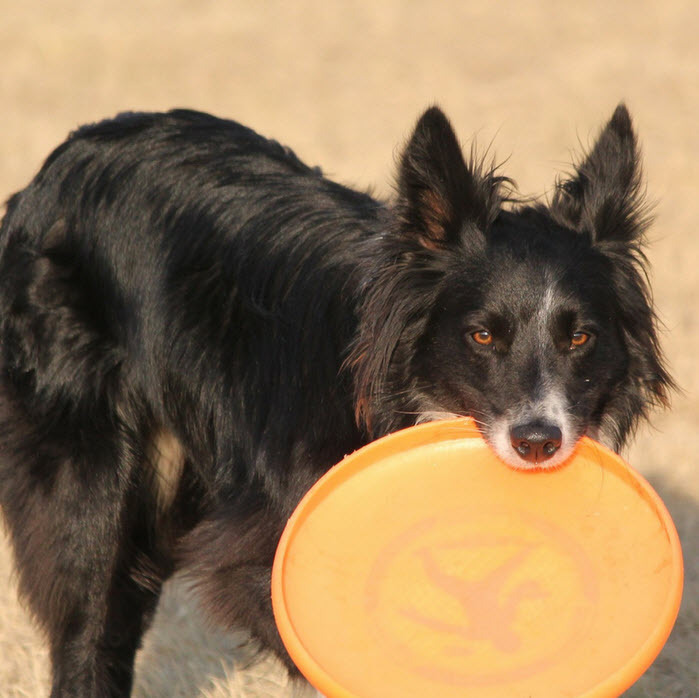 Frisbee is open to all breeds, but the most popular are the Border Collie and the Australian Shepherd. Frisbee dogs need natural athleticism and energy to be able to compete in the high levels. In freestyle, the dogs are marked on things such as leaping ability and execution. 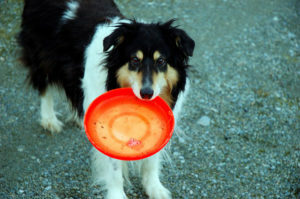 In single disc competition, dogs need to catch a certain number of discs at a certain distance in a certain amount of time. The BDD Title is awarded to a dog that demonstrates a consistent ability to catch and return a single disc. The title also signifies a handler’s ability to manage a highly driven dog off-leash and to throw a disc competently under various conditions. The handler is limited to 1 flying disc and is required to throw from a designated area. The dog must run out no less than 20 yards and catch a flying disc before the disc touches the ground. Four successful catches must be made within a maximum of 120 seconds or with no more than 7 throws. Length of catches are measured and recorded (rounding down to the nearest 5 or 10 yard/meter mark is permitted). 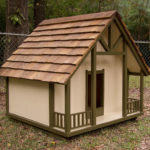 The IDDHA provides a handicap for junior handlers (handlers 14 years and under) and dogs that have a shoulder height of fewer than 14 inches. See “Single Disc Court – Championship Single Disc Court”. Most Canine Disc competitions fulfill the requirements for BDD Titling and are recognized accordingly. The title is awarded when BDD requirements are achieved in the presence of an IDDHA representative on a minimum of four occasions (or “legs”). The purpose of this title is to recognize dog/handler teams that show improvement in both the number and length of catches made with a single disc. The BDD title is a prerequisite for testing for the ADD title. The handler is required to throw from a designated area. The dog must run out no less than 30 yards and catch a flying disc before the disc touches the ground. Six successful catches must be made within a maximum of two minutes or 7 throws. Number and length of catches are measured and recorded (rounding down to the nearest 5 or 10 yard/meter mark is permitted). The ADD Title is awarded when this standard is demonstrated in the presence of an IDDHA representative on at least four occasions (or “legs”). The purpose of this title is to recognize dog/handler teams that have demonstrated versatility in the sport. The first part of this title involves single disc events and the second part involves freestyle. Refer to Freestyle Judging Criteria and Score Sheet. The handler is limited to 1 flying disc, and is required to throw from a designated area. The dog must run out no less than 40 yards and catch a flying disc before the disc touches the ground. Seven successful catches must be made within a maximum of 120 seconds or 7 throws. Number and length of catches are measured and recorded (rounding down to the nearest 5 or 10 yard/meter mark is permitted). The MDD Title is awarded when this standard is demonstrated in the presence of an IDDHA representative on at least four occasions. The ADD is a prerequisite for testing for the MDD title. In addition, the dog and handler team must earn a CSF in freestyle to achieve this recognition. 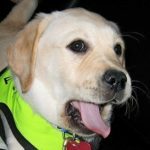 This title serves as an intermediate test for handlers interested in Freestyle. This title is designed to be administered in a clinic environment. The purpose is to emphasize the development of the skills needed to compete in Freestyle events. From beginning to end, the Combined Skills must be observed by an IDDHA Certified Judge From the sidelines at approximately the midpoint of a field measuring no less than 30×30 yards. Successful completion of 5 of the 7 elements in the Combined Skill Class of the IDDHA Freestyle Judging Criteria is required on four separate occasions in the presence of an IDDHA Judge. Testing is given in a non-competitive setting and does not require music or a time limit. A written description of the elements to be attempted must be submitted to the judge prior to exhibition. To qualify as a completion of the requirement, each element must end in a catch. Repetitions are not allowed. The CSF title is judged objectively. Judges are required to make note of special variations within the elements; however, each element is simply identified as complete or incomplete. The handler is not to be coached during testing. This category of titling recognizes dog/handler teams that reach a high level of freestyle proficiency in competition. Teams must request consideration for DDX titling prior to exhibition. The CSF title is a prerequisite for the DDX title. For titling, Freestyle routines can have a maximum duration of 180 seconds and a minimum duration of 90 seconds. Any number of any discs can be utilized. From beginning to end, routines must be observed by an IDDHA Certified Judge from the sidelines at approximately the midpoint of a field measuring no less than 30×30 yards. Handlers are required to submit a routine outline to the IDDHA Judge prior to exhibition. For IDDHA DDX titling, teams must successfully demonstrate 5 of the 7 Interactive Elements described in the “Combined Skills Class” section. Refer to IDDHA Skill Classes for Canine Disc Freestyle. 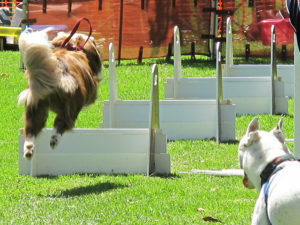 Flyball is a fast-growing sport open to all dogs. Any dog, mixed or pure breed, can be good at flyball. 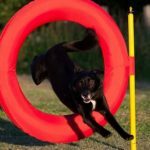 If you have a ball-crazy dog, this sport may be perfect for you! In flyball, there are two teams each made up of 4 dogs, and each with 4 jumps spaced an equal distance apart. The jumps are set 4 inches lower than the shoulder height of the smallest dog on the team. The minimum height of the jumps is 8 inches and the maximum is 16 inches. Like a relay race, the dogs run one at a time down their line of jumps, hits a box which launches a tennis ball which the dog must catch, turn around, come back over the jumps, and cross the start/finish line. Then the next dog goes. The team that wins is the one who is finished first unless there is a penalty like a bad start (the next dog starts too early), the dog misses a jump, etc. 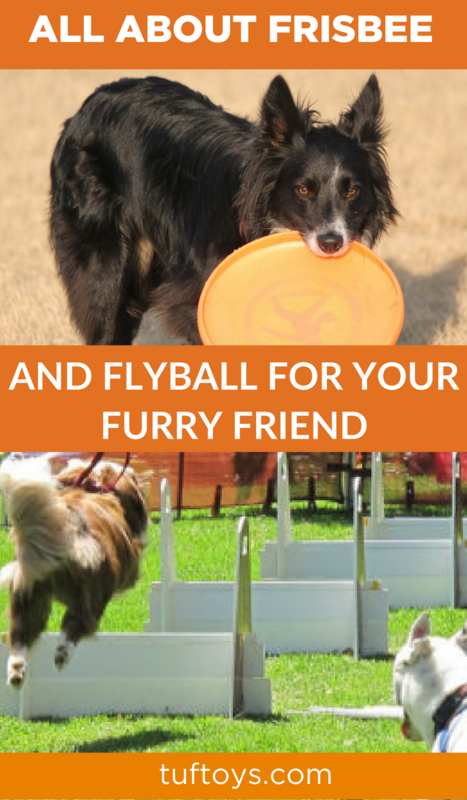 The main purpose of flyball is just to have fun, and it’s a great way to use up some of your dog’s energy! In order to get titles, dogs have to earn a certain number of points. These points are based on the team’s time. If the team’s time is less than 32 seconds, each dog earns 1 point. 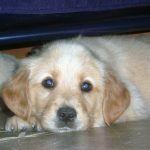 If the team’s time is less than 28 seconds each dog earns 5 points. If the team’s time is less than 24 seconds, each dog earns 25 points.